A well-designed, well-executed career development program can have a significant impact on business results. Almost two-thirds of respondents in the 2018 Brandon Hall Group Career Development Study said their career development framework helps with talent retention and employee engagement; 57% said it provides a stronger employee value proposition —including organizations whose programs are not optimally developed. Career development, done well, is a driver of many talent processes: learning and development, performance management, competency management, succession planning, as well as compensation, rewards and recognition and more. 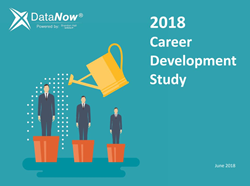 Most organizations are in very early stages of their evolution in improving career development, according to the 2018 Brandon Hall Group Career Development Study. For example, 62% of organizations said one-fifth or less of their employees have clear, well-communicated paths. Companies that support career development and competencies with technology are 2½ times more likely than other organizations to have employees with clear, well-communicated career advancement plans. Organizations with career paths aligned with one or more competency types are twice as likely to see increased employee engagement. Organizations that have more employees (40%+) with clear, well-communicated career paths are almost three times more likely to see increased employee retention. Career coaching also has a big impact on career development efforts; organizations with some sort of career coaching (formal, informal or both) are three times more likely to see increased employee engagement. The study, conducted April-June 2018, drew 330 valid responses from 32 industries. Two-thirds of responses came from the U.S. and Canada and 22% from EMEA nations. The top barriers to creating career frameworks and career paths for employees are: lack of clear communication in matching competencies to career opportunities (59% of organizations); absence of competencies tied to career paths (51%); and lack of technology or integrated technologies to support career development efforts (46%). “There are hurdles in optimizing career development, but the research shows organizations are making progress. This is a huge area of opportunity, especially when companies find ways to allow employees to modify career paths based on changes in their personal and professional priorities,” said Claude Werder, VP/Research Operations and Principal HCM Analyst. “More employees look for new and varied experiences in the workplace rather than just moving up the corporate ladder. Organizations that get that, and find ways to provide career paths that meet employee needs as well as business needs, will be in the driver’s seat in attracting and retaining great talent,” Werder said. Brandon Hall Group is a HCM research and advisory services firm that provides insights around key performance areas, including Learning and Development, Talent Management, Leadership Development, Talent Acquisition, and HR/Workforce Management. With more than 10,000 clients globally and almost 25 years of delivering world-class research and advisory services, Brandon Hall Group is focused on developing research that drives performance in emerging and large organizations, and provides strategic insights for executives and practitioners responsible for growth and business results. Our vision: To inspire a better workplace experience.